Large and in charge, the commanding Toyota Sequoia offers seating for up to eight passengers, letting the whole family ride in comfort. 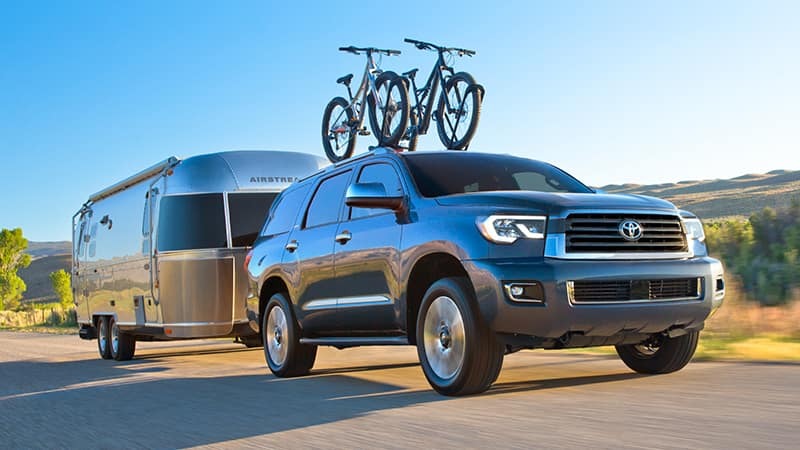 Thanks to its standard 381-horsepower 5.7-Liter i-FORCE V8 engine, the Sequoia has the ability to tow up to a massive 7,400 pounds (when properly equipped). When equipped with optional Multi-Mode 4WD with a Torsen® limited-slip center differential, the Toyota Sequoia has the capability to explore where other SUVs fear to tread. simple to load and unload the equipment your weekend road trip requires. Available perforated leather-trimmed heated and ventilated front seats are sure to please even the pickiest passengers. Standard Toyota Safety Sense™ P (TSS-P) provides you with an array of driver-assistive features to keep you out of harm’s way on the roadways. 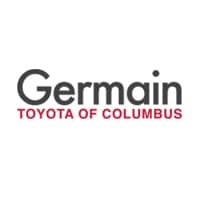 The Toyota Sequoia is powered by a standard 5.7-Liter i-FORCE V8 which produces an impressive 381 horsepower along with 401 lb-ft of torque paired to a 6-speed Electronically Controlled automatic Transmission with intelligence (ECT-i). It rides on a fully-boxed frame for outstanding durability while an independent rear suspension keeps things smooth and under control. A dedicated TOW/HAUL Mode can select transmission shift points to help optimize power delivery. With a twist of a knob, the optional Adaptive Variable Suspension (AVS) can change between Comfort, Normal, and Sport modes to give you the ride height which you desire. The Sequoia also comes standard with an advanced Automatic Limited-Slip Differential (Auto LSD) which provides enhanced traction on unpredictable road surfaces such as mud or sand. 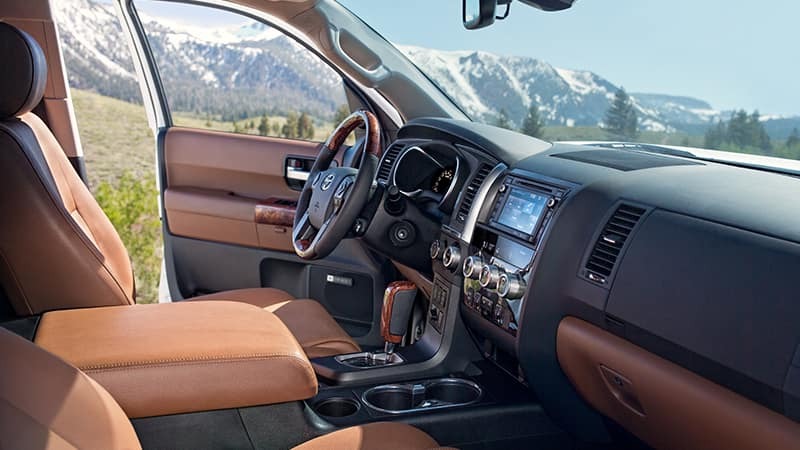 Everyone is able to ride in first class comfort inside the spacious interior of the Toyota Sequoia. Available heated and ventilated front seats and available leather-trimmed seating for all help keep passengers riding in comfort and style. The advanced Entune™ Premium Audio with Integrated Navigation and Entune® App Suite system is the ultimate copilot, providing you with turn-by-turn directions. Choose the available Rear-seat Blu-ray Disc™ player with 9-inch display and you’ll receive two wireless headphones, wireless remote, and a rear audio system to help eliminate boredom on extended commutes. At the touch of a button, the available tilt/slide power moonroof lets you fill the interior with fresh air and natural lighting. 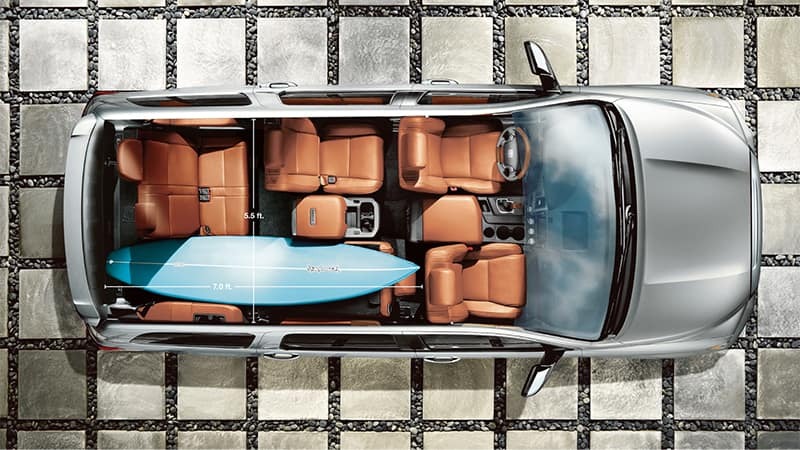 With both the second and third-row seats folded flat, the Sequoia offers a massive 120.1 cubic feet of cargo space. Sequoia takes high tech even higher with the available Entune™ Premium Audio system with Integrated Navigation and Entune® App Suite. You’ll have the ability to get info on weather, sports scores, fuel prices, and stock information to help plan your day. An available JBL® Premium Audio system lets you hear your music like never before. The Entune® App Suite system is the ultimate copilot, giving you turn-by-turn directions, a huge selection of music, choices, and it can even help with dinner reservations. Designed to help protect you and your passengers from harm, every Toyota Sequoia comes standard with Toyota Safety Sense™ P (TSS-P) — a collection of active safety features. A Blind Spot Monitor (BSM) with Rear Cross-Traffic Alert (RCTA) helps identify vehicles in your blind spot and warns you with a flashing indicator. Energy-conserving LED headlights let you see and be seen. Lane Departure Alert (LDA) with Sway Warning System (SWS) is designed to detect lane departure on roads with visible lane markings.